Normally I'd be talking about Christmas, but I've been stuck inside with a nasty bug. Inside my head I've been returning to Akita though, in Northern Japan, so let me introduce you to the Namahage, the region's most famous folkloric characters. Well, maybe not that friendly. 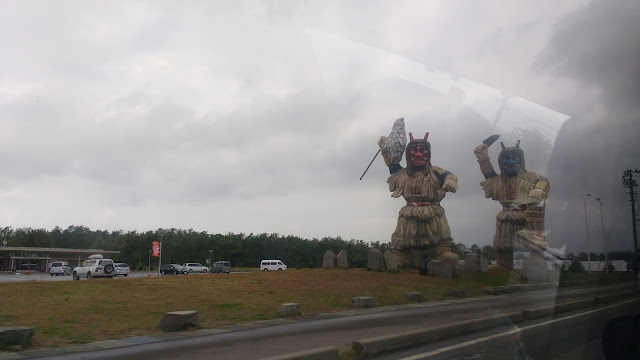 Akita Prefecture is famous for its Namahage. Or Yamahage (see later). Our friends were taking us to a museum deep in the forest, part of which is a traditional inn (below), where it's a good idea to begin your visit. Once inside the inn, you need to imagine it's New Year and the landscape outside is deep in snow. There is nobody for miles, except..... the Namahage. These are demonic religious figures whose job it is to make sure that people (especially the children) are working hard, being tough and enduring difficult things. They dress in straw, have long hair and terrifying masks. They arrive outside the house roaring and shouting and banging at the door, upon which they must be invited in. Once inside, they stamp about (stamping is often a way of getting rid of evil). Then they shout at the children, demanding to see their lesson books, and fire questions around about how good everyone is being. You see the one below shaking his finger. 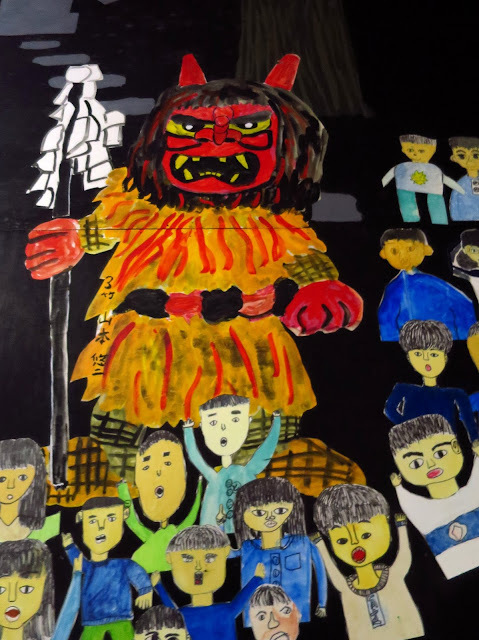 When everything is in uproar, and the children are screaming their heads off, the Namahage are offered food, drink and sake ("Kampai!" or "cheers!" - see below). Then they go away, leaving everyone to reflect on whether or not they have been quite hardworking and strong enough lately. 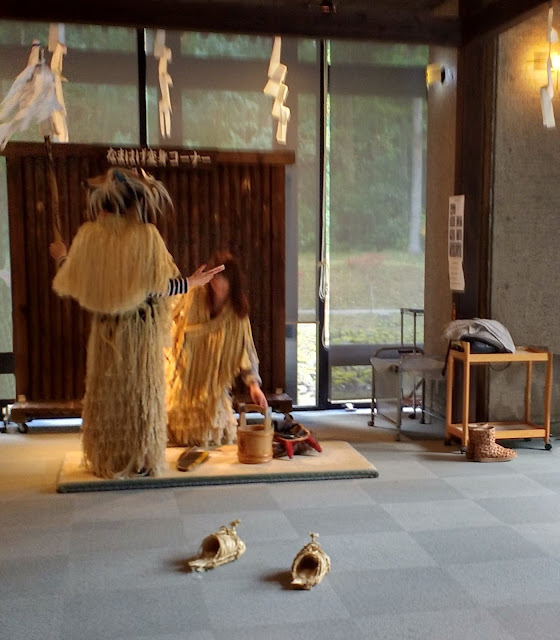 also offering you the chance to dress up as a namahage yourself, in rice straw cape and shoes. Sorry it's a bit blurry, I wasn't using flash. Here is T. trying on a mask for size. and local kids had done some terrific, and terrifying murals, although, as you see the kid in the green sweater at the bottom of the picture is obviously finding the whole thing really amusing... there's always one, isn't there? 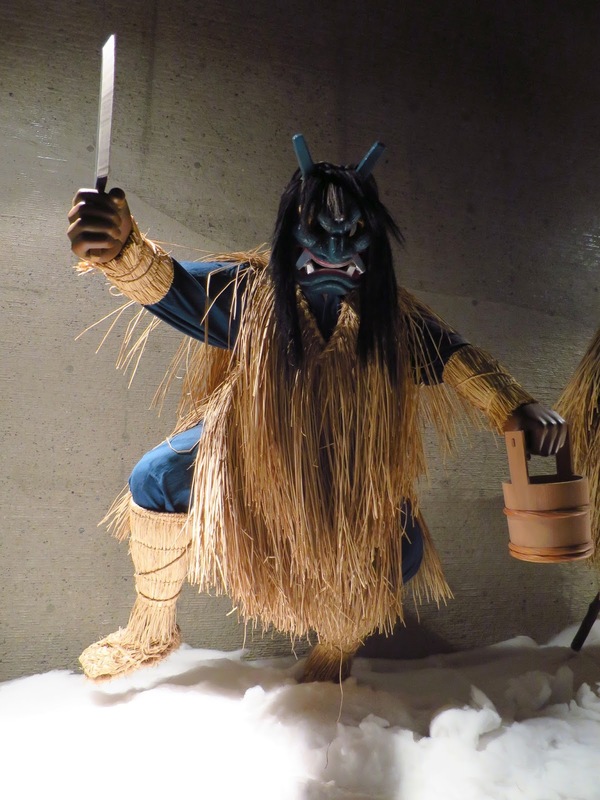 In fact, the Namahage are the popular face of another very similar tradition, the Yamahage. Confusingly, the Yamahage, although they look and act in a similar way, are much more rustic and are not a tourist attraction, and are more associated with having a good rice harvest. 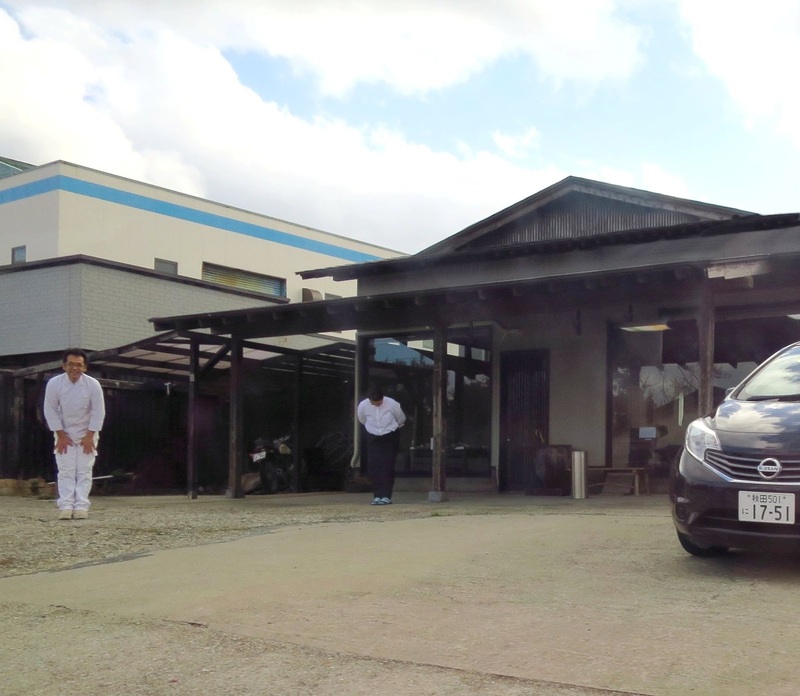 As in many parts of rural Japan, though, the young are fleeing to Tokyo and other big cities, and the private old religious customs are struggling to survive in their pure and original form. So the Yamahage, with their simple rice straw masks are falling foul of the plain fact that you need to be young and quite serious about the rice harvest to tramp around for hours through sub-zero winter woods while dressed in straw. It is as well that the Namahage are keeping their traditions alive. Anyway, there are religious roots to both Namahage and Yamahage, as you can see from zigzag white streamers the creatures carry (below and first picture). I would love to go into this in more detail but I don't want this post to be full of my rather half-baked thoughts on Japanese folklore, so I'll just say that I bought the twins some splendid Namahage socks in the fantastic gift shop. 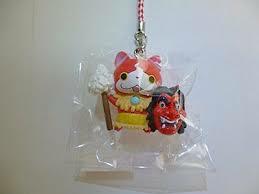 I was also a bit tempted by this keyring of Jibanyan, "Yokai Watch"'s fire raising cat, as a Namahage. Don't you think it's cute? By the time we'd seen the museum it was gone lunchtime, so we drove a little further on to a fish restaurant our friends knew. We would never have found this on our own. It's a simple place, with plastic tables and a couple of Japanese style low tables, and all over the walls are pictures of the owners and their friends. Basically they get fish from the sea each day, chop it up and cook it with vegetables in a wooden dish containing red hot stones. It is really, really delicious, and, as always in Japan, beautifully presented with many side dishes. The owners were so cheerful and friendly, chatting and joking with their customers. They posed for their picture. And since we were their very last lunch customers of the day, they came out and waved us goodbye when we left, also bowing as is the Japanese custom. But we had to get back to collect our friend's son from school! I know that kids like to be scared, but that Namagage is one tough monster. No wonder the younger generation want to move to the city. The area looks so lovely and peaceful though. The more i hear about Japan, the more i want to go. It is such an interesting place, for sure. I am so glad to know that you had such wonderful experiences in Akita. We really like to see Namahage traditional event on TV screen. I have not seen Namahage in person though. 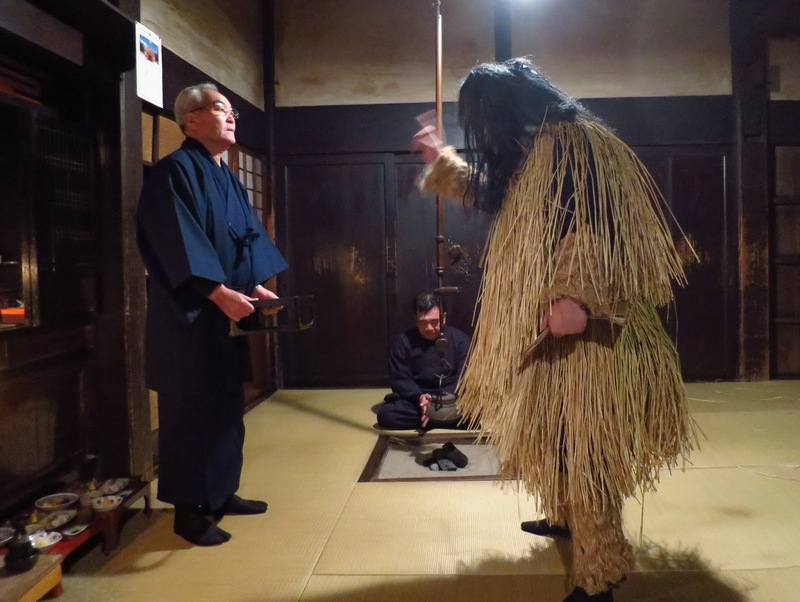 It is familiar and fun scene that Namahage visiting homes, saying with their loud voice. Nakuko wa inee gā～～～!with its local dialect with strong accent meaning Are there any crybabies around? Nakuko wa inaika～～? !this is standard. Waruiko wa inee ka～～～! meaning Are there naughty kids around? Nakuko wa inaika～～! this is standard. And children are screaming! The hot meal in the wooden dish looks delicious. I am also glad you met very good people in Japan. 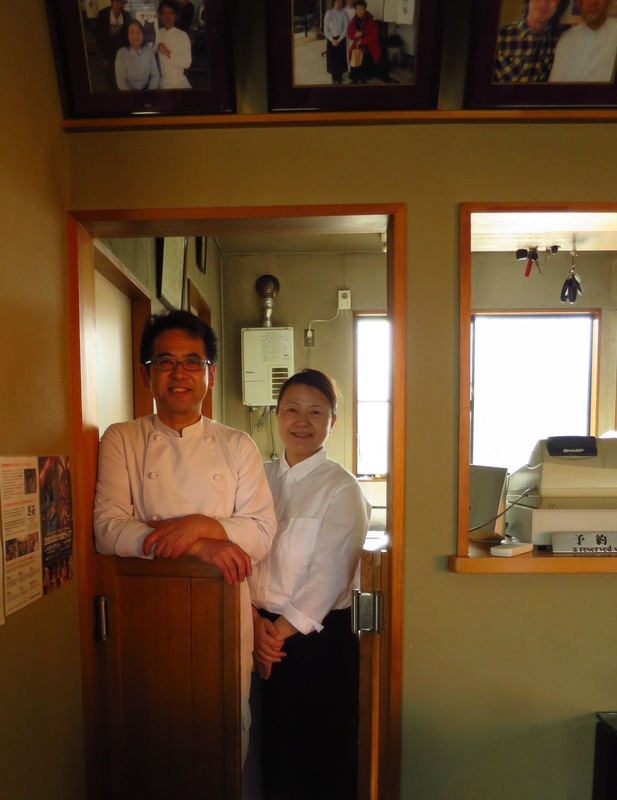 The photos showing the restaurant's owners are beautiful.Thank you for sharing. Thank you for your comment, Tomoko. Thanks too for telling me that the Namahage talk in dialect. Our friends in Akita were raised in Tokyo, and they said that some of the people of Akita speak with a very strong dialect, including words and expressions that are not used elsewhere in Japan. Of course that passes me by, since I don't speak Japanese, but it is fun to hear about it. Its good to learn about Japan on the other side of neon lights. Yes, there is so much more to it than the image we are presented with here, so often. I never fail to be completely delighted with your posts. Those two guys in the first photo would be perfect for my yard here in the Tennessee wilderness. They look HUGE! 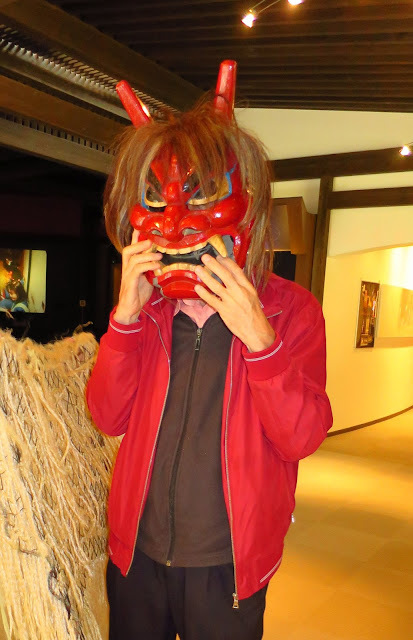 The Namahage would scare the jeeters out of me - but I do love those intimidating masks! The little kitty keyring is also cute. What wonderful manners the Japanese have. I couldn't imagine anyone bowing here in the often-rude U.S.
Ah, yes, they would even scare the possums! gave me a bit of a shock out of the car window when I saw them actually. People often make their own masks, I think it is something to do in the long cold winters. And yes, it certainly is refreshing to be in a place where people are habitually polite and also don't litter all over the place. Well that would have scared the beJesus out of me, much more terrifying than a Santa armed with a bunch of switches. You're seeing such an interesting part of Japan. Can't wait till we go back again. Same here. I didn't know you had plans to return? The Namahage (and Yamahage) look and sound really scary! They do remind me of our Knecht Ruprecht here in Germany, a guy that is supposed to do the rounds with St. Nikolaus, punishing the kids that have not been good during the year. Seems like threats and punishment have been the most popular means of educating children for thousands of years. It's nice that your friends took you to that restaurant, and even nicer to catch a glimpse of the coast line just as the sun was coming out! Yes, the coast did look wonderful in those gleams of bright sunlight, and sadly, my pictures don't do it justice.I commented below about Knecht Ruprecht when someone else mentioned it... yes indeed, there are some scary characters in folklore. I always enjoy a folklore and especially one that is new and refreshing and so incredible just like this one. Thanks for sharing this and I hope you're feeling better soon! 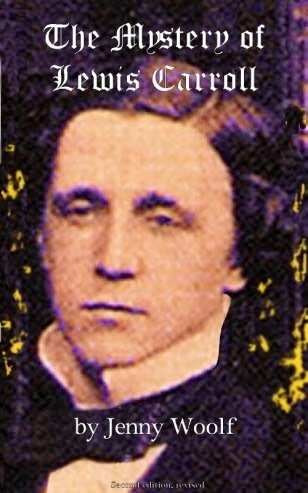 Fascinating, I really enjoyed my virtual visit, thanks for sharing Jenny. Thanks for this rich post on the magnificent culture of Japan. Yes, that is a good observation, Rita. Don't you think life in the olden days must have been pretty tough for everyone? I reckon it was a practical wheeze to make sure everyone worked, whether or not they felt good about doing so! Those sea pictures are magnificent. No wonder you wished to remain there. I fancy the fish cookedwith veg on top of hot stones. Sorry to hear of your pesky bug. I hope you recover soon. I love the photos and narrative here as a trip to Japan isn't on my horizon and I always learn something unexpected from your adventures. I wish you lots of soup, extra tea and rest. Perhaps you might indulge my curiosity: When not traveling, writing or doing research, what do you read for enjoyment? Thanks, e. And the soup has done the trick! :) You ask what I read for enjoyment, and that's interesting because just lately I have stopped watching TV and listening to the radio and begun to read many books that I had put aside. 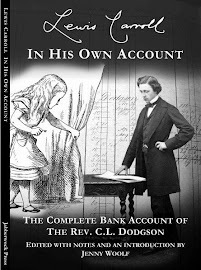 I tend to enjoy autobiographies (not usually biographies so much) and even more if they are out of living memory. I'm fascinated by how the world used to be. 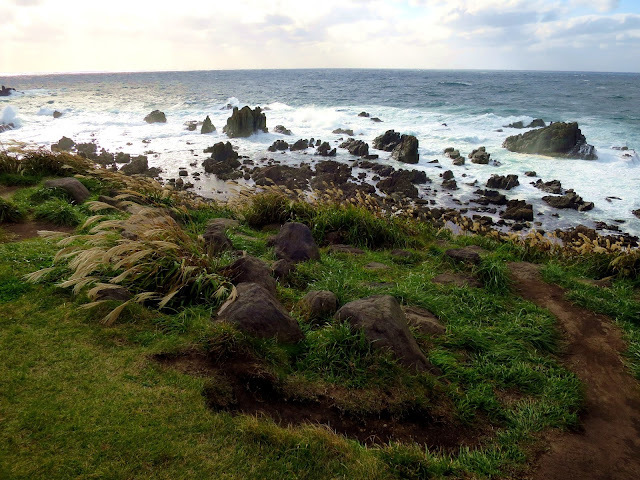 I think you may have found your soul place in Akita. The museum is wonderful -- I love the lore and the story. The masks are spectacular. And so, too, is that dinner! You're right about having friends with you who know the territory. We found things on our trip thanks to our friends we'd never have discovered on our own. Beautiful! Thank you Jeanie. It makes all the difference when people are kind enough to show us around. Don't you also love to have visitors and show them around your home place? I do. I have learned all kinds of stuff actually about my own area while showing guests around! Lovely post. Makes me feel as if I have been with you in Japan. Yes, thank you Kay. You have a great Christmas ! What a fascinating area to visit......and what folklore! I'm glad you've got some lovely photos and memories to cheer you up - you seem to have had more than your fair share of illness this year. It must have been hard to leave all those lovely places. The food looks delicious, I was surprised to see steam - no amount of practice ever got me to capture a steamy dish on film. I managed to read a few lines, Jenny, I found that reading two lines was easier than trying to read whole paragraphs. I will persevere. I am so sorry Valerie, but as I have explained, I can't change the colours on the blog. It's infuriating - but I would lose every bit of formatting if I did. I hope you can enjoy the photos and thank you for making the effort to read it. Wow, well I for one would be quite terrified to have two enormous Namahage rear up in front of the car! However, once over the sight of them, it does have a lot in common with Santa Claus - naughty or nice, good and bad, as all good folk tales go. What fun you have in Japan, and I love the sight of the sea, rugged and unspoiled. Great post, Jenny. 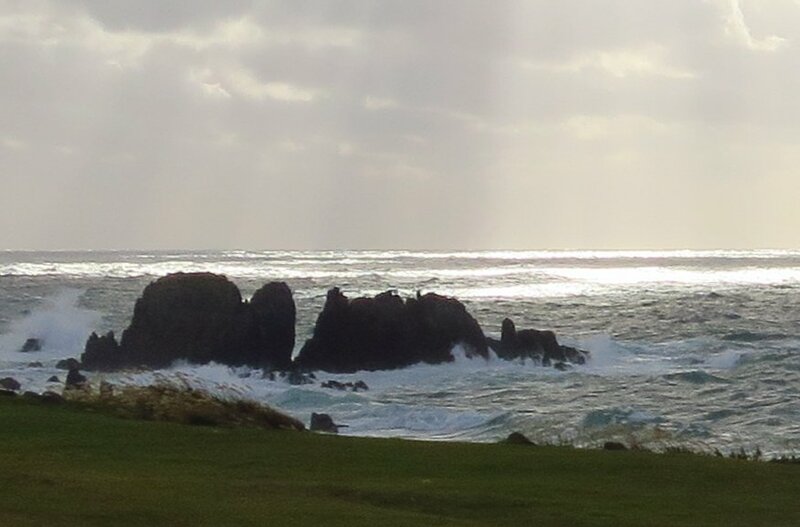 It was a most beautiful coast. Very windy when I visited, I don't know if that is the normal way of it. That's a fascinating, and enjoyable, post Jenny. There's so much to learn, isn't there!? I think we should persuade waiters in the UK to bow as their customers leave. While we're about it, perhaps we should include organisations like BT, some banks and insurance companies - and so on - we could invent an away-day introducing the concept of 'customer respect'. Sorry, I've gone off point - loved your post and the shots! Thanks, Mike. It is I think a nice idea to bow, it seems to indicate that you feel polite... It was memorable being one of the first people in a department store, and as I walked through the doors all the staff waiting in a line bowed to me..
Quite honestly, after reading the delightful article and looking at the pictures, I've come to the conclusion that I teach Namahage or Yamahage in my school. They certainly look like some of our kids, and probably act like it as well. They might be politer, in fact. They had very good table manners! !! Dear Jenny - I like traditional festivals as they are unique reflections of the local culture and history. 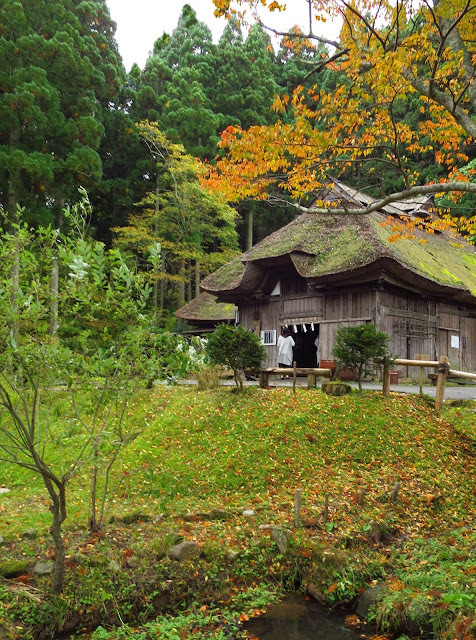 In Japan, most old traditions are related to rice-farming (use of straw) and nature worship religion Shinto. Living in Nara, three-old boy Y doesn’t know how Namahage acts but knows its appearance from A Pictorial Book of Japanese Traditions and Customs in Four Seasons. He likes to turn the page to show it to scare me. Experiencing Namahage in person would be a nightmare for children even for the well-behaved ones. The murals created by children are splendid joint work. 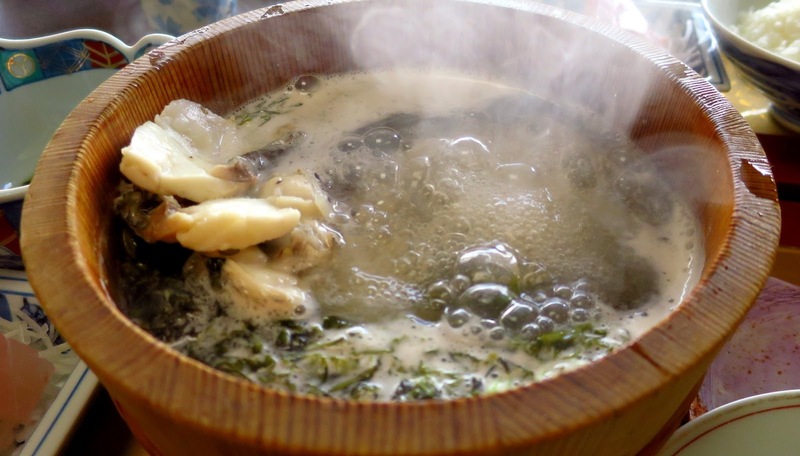 I know how it delicious, the hot pot dish cooked in the broth made by fresh sea food. I’m happy to see your rich and delicious experience in Akita region. Run, Forest! Run! The Namahage are coming! 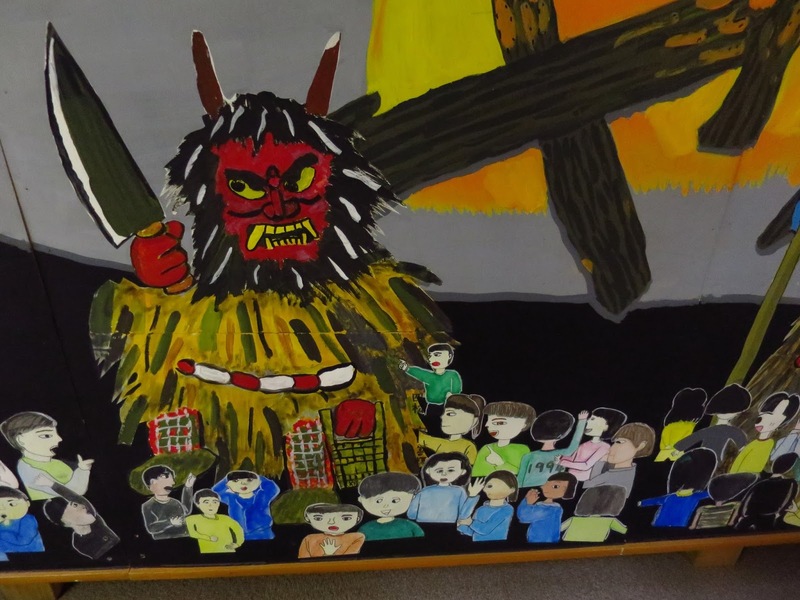 No child is ever the same again after encountering the Namahage! Even when they see a straw broom they run! How fascinating it is...intriguing. The countryside is stunning. I hope you're rid of that bug very soon. And in case this is your last post before Christmas I wish you and your family a very Merry Christmas and a Happy New Year...may 2017 treat you kindly. Thank you Lee! I loved the idea of the trees in the forest picking up their branches and running asway too.... I am going to do another post before Christmas. Of course I will check on your blog to see what you are up to before I get around to hanging up my stocking! Wonderful photo's and great information. I'm always happy to hear that old traditions remain. It was fun to see the costumes. I was going to mention the similarity to Knecht Ruprecht, Saint Nicholas' fearsome sidekick, and then I noticed that Librarian beat me to it. Interesting customs! I thoroughly enjoyed reading your post and learning some of the traditions. Such a great attention to detail in their costumes and drawings. I love their courtesies too - how many restaurants would bid goodbye to customers like that! Thank you for your superb photographs Jenny, especially those of the Museum and its gorgeous setting. Thank you Sue and I hope you have a great Christmas too! Yes, I am feeling fine now, it's a bug that has gone round the whole family. And yes, it is wonderful indeed to see the attention to detail. I wonder Namagage looks like a real monster, Jenny. If I were a kid I would scared anyway, it's true. 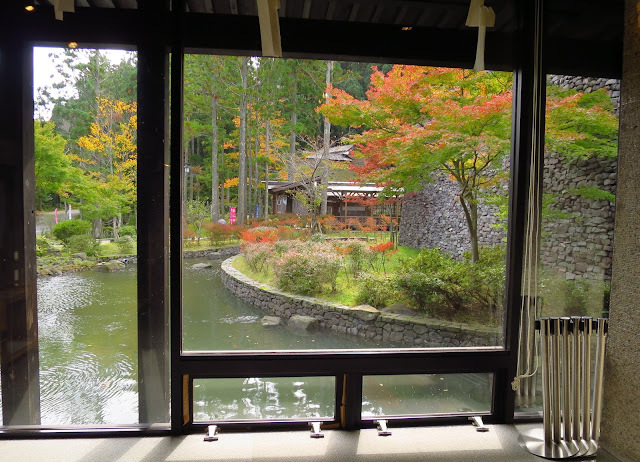 I liked the view of a museum window, beautiful Japanese landscape! Interestingly Japanese fish soup looks like our one, or maybe very similar. 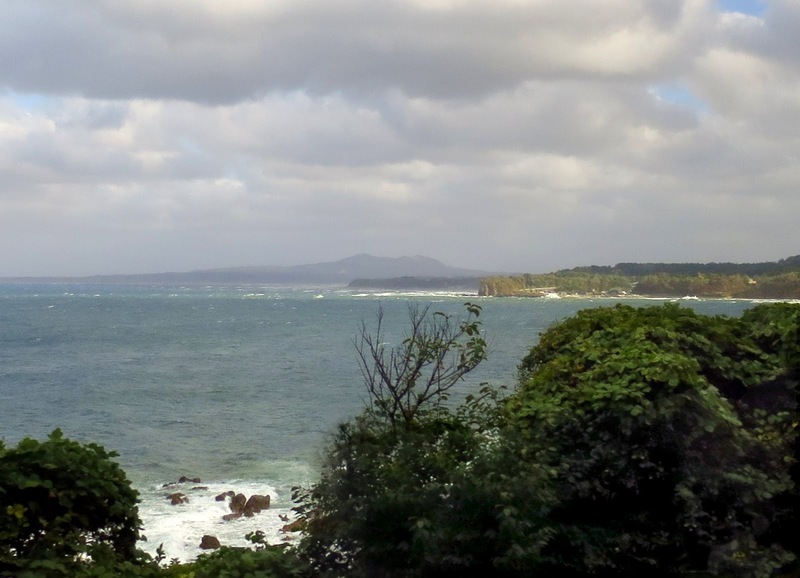 Looking at your sea coast picture I feel cold and wind there. Wow, Jenny. What an adventure. How's the bug? Feeling any better? Sorry you aren't feeling well. I quite like the idea of having a bug so I can stay indoors and avoid all the Christmas madness! What a strange idea to have Namagage terrify children by shouting at them. Sounds like my mother minus the straw and mask. Get better soon! :-) Beautiful photos and post. Fascinating Jenny! You really did get an insight into Japan and the Japanese and saw some unusual places on your trip. I love the bowing - the television presenters do it too - did you notice. The fish there is so fresh and delicious isn't it? What a trip. I was wondering Namahage is originally a god blessing new year for ancient people. Thanks for the interesting post. Thank you! I am sure Namahage have something to do with blessing the rice harvest, they are similar to gods. Thank you, and Happy CHristmas to you too, Marianne! 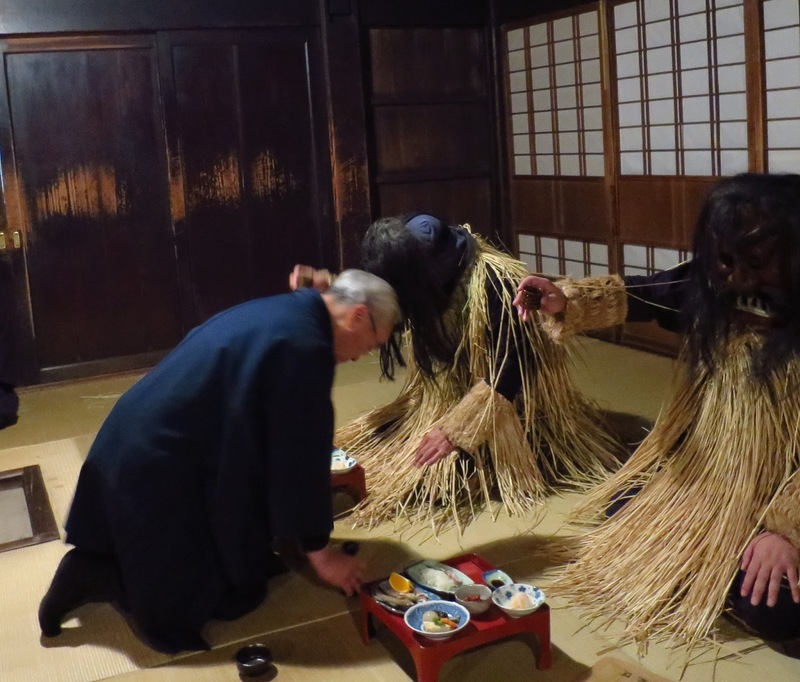 Yes, it is noticeable how often people bow in Japan, and it is catching - I started doing it myself too in the end!